2017 may be drawing to a close, but Fred's Shed is showing no signs of stopping – we've just lined up its first festival date for 2018. It's playing in the Dorking Film Festival on Saturday 24th March 2018, at the Dorking Halls. Happy New Year! Following its screening at Southampton Film Week, Fred's Shed will be appearing as part of the City Eye Films Festive Films programme. The screening is at God's House Tower in Southampton, on December 18th from 7:30pm – tickets are free and are available here. Fred's Shed is part of the official selection for Southampton Film Week, and full details of the short film screening have been revealed – the programme starts at 2pm on Saturday 18th November, at Sonar Cinema. Tickets are free, and available here. Fred's Shed is part of the official selection for Southampton Film Week 2017, in the best short fiction category. The event runs from 11th - 19th November – I'll update as soon as I have details of the screening! I've written a feature on Ridley Scott's Alien for Home Cinema Choice #277, in stores now. Fred's Shed goes to Düsseldorf! Following its screening at Reading Fringe Film Festival, Fred's Shed has been selected to appear at Reading-Weekend in Düsseldorf. It will be screening as part of the Black Box strand at the Filmmuseum on Saturday October 7th, in front of Mike Leigh's Happy-Go-Lucky. Fred's Shed is a winner! 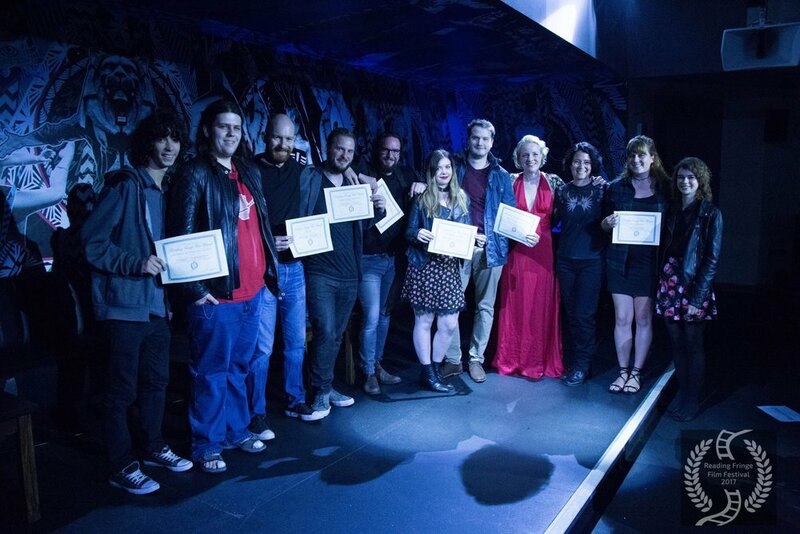 Fred's Shed recently screened in the Reading Fringe Film Festival, and star Mike Long won Best Actor for his performance as Fred – congratulations! I'm very happy to announce that Fred's Shed will be screening as part of the Reading Fringe Film Festival on July 19th – tickets are available here. Fred's Shed will be screening at The Box Film Festival, at Arlington Arts Centre, Newbury on Saturday June 24th at 7:30pm – tickets available here. My short film Fred's Shed is screening in the London Independent Film Festival on 16 April at 6pm, at Shortwave Cinema. Tickets are available here (£8 each), venue location is here. And here's the Facebook event for it! My short film Fred's Shed will be screening in the London Independent Film Festival 2017, which runs from 13 - 25 April – more details to follow! They just don't. Find out why here. Interviewing Nick Frost for The World's End. I didn't pick the headline. Stuff meets Nick Frost, star of The World's End: "I'm an Apple slag"